Dry mouth, otherwise known as xerostomia, is when your mouth does not produce enough saliva. Saliva is important because it helps neutralize acids and flush away harmful bacteria that may cause tooth decay. Saliva also aids in breaking down food and with digestion. 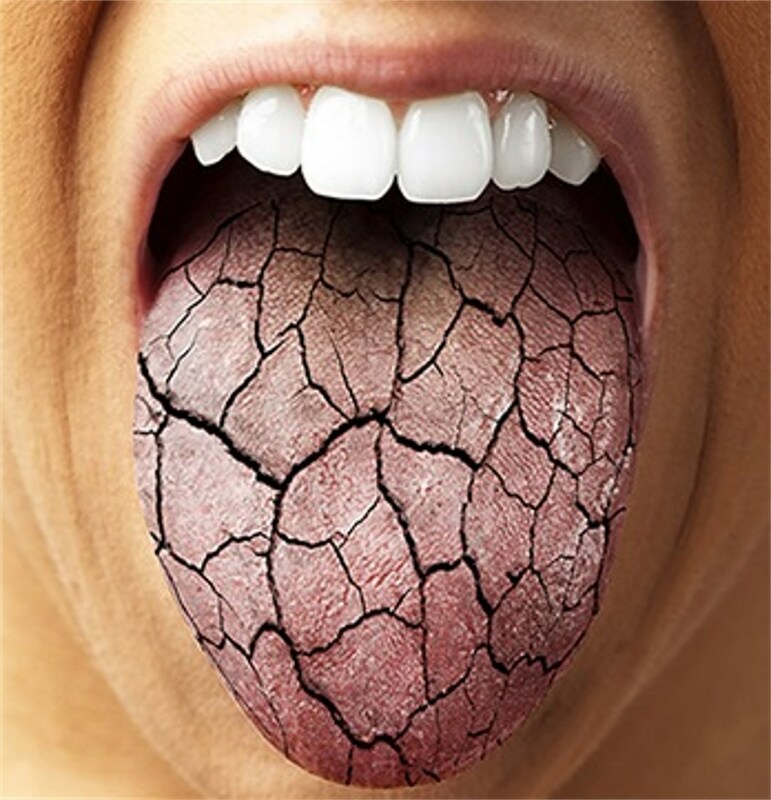 Dry mouth can be frustrating to live with and have an impact on your day to day life. It is vital to understand what is causing your dry mouth and how to suppress it. There are many symptoms of dry mouth. If you think you may have the symptoms below, please contact us so we can help you find a solution. Several factors can cause dry mouth. To begin, dry mouth could be caused by medication and vitamins. Even over the counter medications can leave a sticky feeling in your mouth. Dry mouth can also be caused by diabetes, Alzheimer’s disease, nerve damage, and dehydration, or even snoring, breathing out of your mouth, and aging. Lastly, smoking tobacco and drinking alcohol can leave you with a dry mouth. If you have dry mouth, it is important to avoid making the condition worse. Avoid drinking too much coffee, smoking tobacco, drinking alcohol, or eating too much sugary/acidic foods. Many dental complications can arise from dry mouth, with the increased risk of plaque and decay. If plaque is not cleaned from your teeth and gums, cavities and infections can affect your dental health. Further, mouth sores and yeast infections can develop with a dry mouth. To treat dry mouth, you must first detect the root of its cause. After consultation with us, we will help you combat dry mouth. In the meantime, you can take steps such as: making sure you are sip water throughout the day, chewing sugar-free gum, and using unscented lip balms. To further offset dry mouth complications, make sure to brush and rinse your teeth with fluoride based products. This will help keep your teeth strong and prevent cavities. You can also try over the counter dry mouth rinses. At The NJ Center for Laser and Cosmetic Dentistry, we care about our patients smile! If you are experiencing dental discomfort, please reach out to us at 973-244-2424 with any questions or concerns. We are always happy to help!